Train station 1 Km. 1 Min. 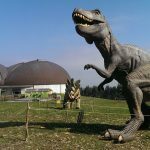 In a privileged location on the Principality coast, stands the Jurassic Museum of Asturias, a unique museum that, in the form of a large dinosaur footprint, hosts one of the most complete and didactic exhibitions of the world on these fascinating reptiles. 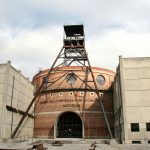 The visit of the Mining Museum is structured following a pedagogical, technological and sociological content. Starting from the evolution of the mining industry, not only is there an advance in the machinery but also in the way in which companies and workers organize themselves. 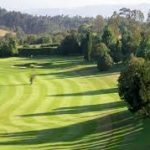 SThe Real Club de Golf La Barganiza, currently has an 18-hole golf course, illuminated driving range, green and practice bunkers, four putting green in front of the Clubhouse, two tennis courts, a paddle tennis court and three swimming pools, two of them for children. 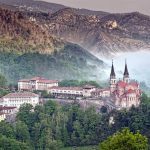 Its origins are linked to the Battle of Covadonga and the beginning of the Asturian Monarchy, which was the first Christian Kingdom of Spain. Nestled in an environment of great beauty, the Real Sitio de Covadonga is a group in which the Santa Cueva and the Basilica stand out. 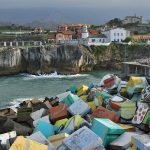 This village in eastern Asturias, which leads hand to the Cuera mountain range and the Picos de Europa to dive into the Cantabrian Sea, is a melting pot of the most ancestral Asturian rural traditions. Llanes and its beaches are really the coast of the Picos de Europa. Nava is a world reference for natural cider, and since the sixties of last century, its cider festival, in the month of July, (declared of National Tourist Interest) has strengthened the cider tradition and raised its ritual to universal range. 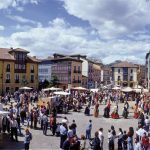 This town is the birthplace of the Reconquista and the first city and court of the Asturian Monarchy, the first on the Iberian Peninsula. The mythical Roman Bridge with its hanging Cross of Victory is one of the most photographed monuments of the Principality of Asturias. The Asturian capital has much to offer. 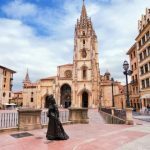 From a walk through the Old Town, where the Cathedral, the Holy Chamber, some churches and convents such as the Pelayas, to Museums, such as the Fine Arts or the Archeological, or a tapa on the Cider Boulevard. 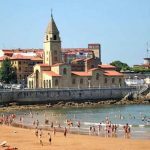 Fishing port, industrial and also sports, Gijón offers the traveler a city with a unique green environment, which highlights the Atlantic Botanical Garden and the Labor City of Culture with its Center for Art and Industrial Creation without forgetting the San Lorenzo Beach.